Nordmann fir Christmas trees are becoming popular on California farms because they have rich color, excellent structure, good needle retention and strong branches for ornament display. California Christmas tree growers who have planted Nordmann or Turkish fir on their farms should be watchful for a new pest that recently made its way to the United States, said Lynn Wunderlich, UC Cooperative Extension advisor who works with Christmas tree growers in the Central Sierra. Some research plantings of Nordmann fir at Washington State University and one Washington farmer's field have been invaded by an adelgid that appears to be closely related to silver fir woolly adelgids, a common pest on Nordmann fir in Europe. Adelgids (pronounced uh-DEL-gids) are certain types of aphids that feed on conifers. “Fortunately, adelgids attacking Nordmann fir haven't been reported in California, but we want our growers to be aware of them and to let me know if they see symptoms on Nordmann or Turkish fir,” Wunderlich said. White, cottony masses on tree branches and twisted, curled and discolored needles are signs of adelgid infestation. In California, growers produce Christmas trees valued at about $6 million per year, according to the USDA's National Agricultural Statistics Service. Nordmann fir has become a popular species for Christmas tree growers in the Sierra foothills. Native of the Caucasus in Turkey and the Republic of Georgia, Nordmanns have rich color, excellent structure, good needle retention and strong branches for ornament display. Still more advantageous is their resistance to pests and diseases that plague other popular tree species, like white and red fir. If the adelgid makes its way to California, Wunderlich is prepared to work with local growers to devise a control strategy based on the results of research her Cooperative Extension counterparts in Washington are conducting on the pest. California Christmas tree farmers who suspect their trees have been infested with the silver fir woolly adelgid are encouraged to contact Wunderlich at (530) 621-5505, lrwunderlich@ucanr.edu. An initiative to maintain and enhance sustainable natural ecosystems security is part of the UC Division of Agriculture and Natural Resources Strategic Vision 2025. 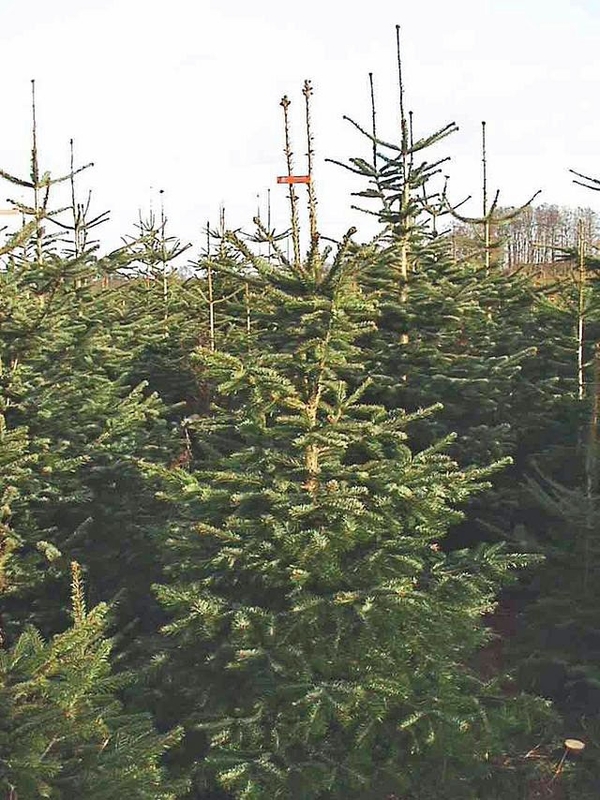 Nordmann Fir is the most popular Christmas tree in London around the Christmas holidays. It is very resistant and people prefer it as its needles don't fell off so much. Hopefully, California farmers won't suffer this pest again this year.